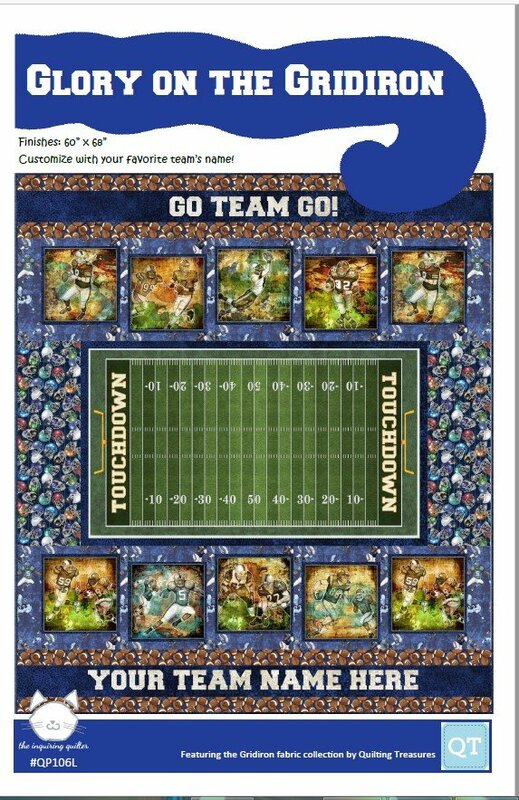 The Glory On The Gridiron Quilt Kit is perfect for any football lover and can be customized with your favorite team's name! The Glory On The Gridiron Quilt Kit includes the pattern by the Inquiring Quilter and the fabrics by Quilting Treasures for the top and binding. The finished quilt measures 60" x 68".